Photo courtesy of the Bill & Melinda Gates Foundation. Fatimata Sy talks to The Optimist about her work, the future of family planning, and her own audacious personal goal. 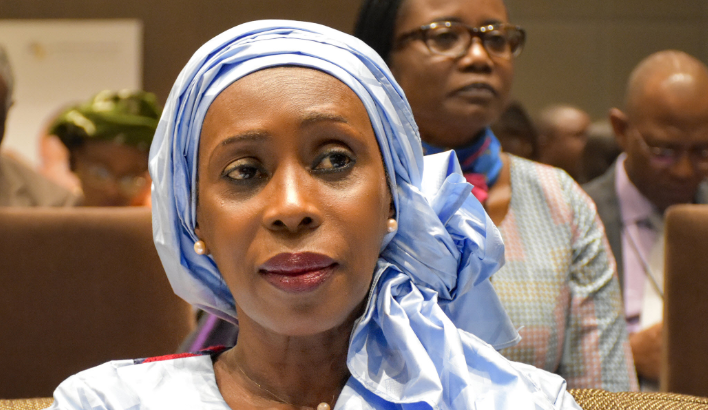 When it launched in 2011, the Ouagadougou Partnership set an audacious goal for 2020: Increase the number of women using modern contraceptives by at least 2.2 million in nine francophone West African countries. Historically, not many women in the region used contraceptives because of socio-cultural factors and infrastructure challenges. But members of the Partnership were determined to prove that with the right approach, family planning could be a crucial investment for the future of Benin, Burkina Faso, Côte d’Ivoire, Guinea, Mali, Mauritania, Niger, Senegal, and Togo. What keeps her going are the human stories, the lives transformed by the Partnership’s work. But it is Sy’s nuanced understanding of the challenges—social norms, early child marriage, and gender roles—that has ultimately propelled its success. Now, as Sy prepares to retire from the Partnership and announce her successor at the 7th Annual Meeting,* she talks to The Optimist about her work, the future of family planning, and her own audacious personal goal. Talking about family planning is challenging in most parts of the world, but Sy says a combination of religious factors, social and gender norms, and taboos makes it especially difficult in West Africa. What keeps her going are the human stories, the lives transformed by the Partnership’s work. Sy recounts the story of Amy Colle, a woman from Mauritania who was in her teens when an arranged marriage made her the second wife of an older man. Colle used contraceptives to delay her first pregnancy, despite taunts from her family-in-law that she was infertile. “Planning her first child helped [Colle] to graduate, have a job, and even normalize the relationship with her husband and family-in-law,” says Sy. “She understood that to get the respect of her husband, the respect of the family, she had to be independent economically. And being independent economically is tied to the fact that she could control her pregnancies,” she adds. Sy is understandably proud of the Partnership's achievements. But she’s equally candid about the challenges. “The lack of access to information, access to services, access to products – for many countries, around 30 percent of women eligible for family planning do not have access to it because of social norms, or the lack of services. And maybe they don't even know that there are services that exist,” she says. There are also financial challenges. Even countries that prioritize family planning don’t always make investments on a national scale, and most of the countries are also heavily dependent on international aid for family planning. So, even if just one agency steps aside or closes, often the entire program cannot continue, Sy points out. Sy says that greater investments need to be made in demand creation for modern contraceptives. “When we analyze the resources from donors, most are going to service delivery, technical assistance, and the procurement of supplies. But not for demand creation, because it's difficult. When you are creating demand, you have to disrupt the social norms.” One way to increase demand is engaging youth. Sy spearheaded a number of youth-led programs as part of the Ougadougou Partnership, but her vision is to have young people “in the driver’s seat,” of new programs, campaigns, and services. “We have youth ambassadors, but my aspiration is to build a critical mass of youth who can put our work into practice,” she says. So, what’s next for Sy? “I will continue being a voice, an activist to help girls to access education.” She witnessed the power of education in her own life and career successes, which influenced her passion for ending early child marriage, and the fight for girls’ and women’s economic empowerment. Sy has another ambitious goal – to help create a foundation in the West Africa region supported by the African private sector. Her expertise in building partnerships should come in handy. “Many [African private] organizations have a philanthropy branch, but I’ve been wondering, how could we create a foundation of African donors, maybe even matching it to what the Gates Foundation is doing,” she mused. Engaging the African private sector to put financial resources into areas like family planning, and matching it with work done by international donors, will help shift the disproportionate regional dependency on international aid, she says. “Making a program like that a reality is my dream...but my fight will always be around empowering girls,” she says. This post was originally published by the Bill & Melinda Gates Foundation. IntraHealth International hosts the Ouagadougou Partnership Coordination Unit primarily funded by the William and Flora Hewlett Foundation and the Bill & Melinda Gates Foundation. * Recruitment for the next director of the Ouagadougou Partnership Coordination Unit is ongoing.